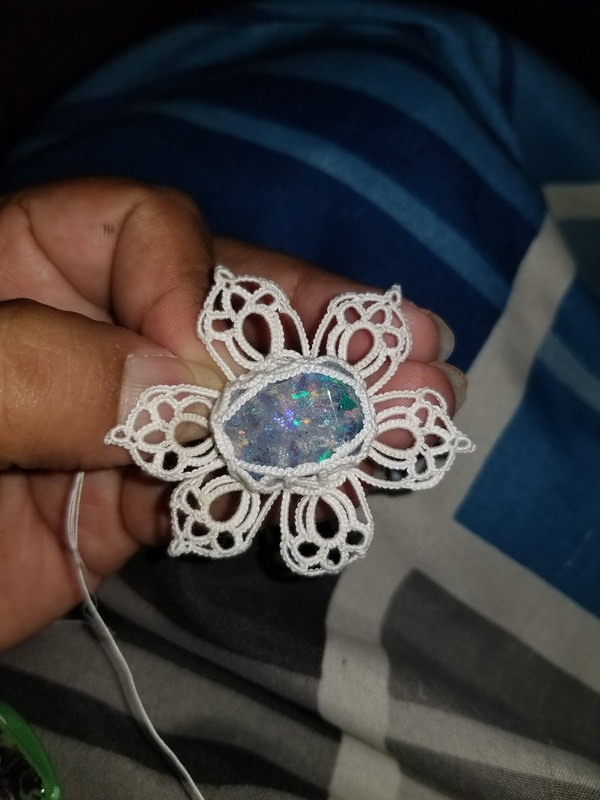 Today was a light tatting day. 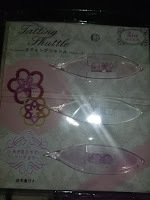 There have been a lot of days that I felt like tatting but can't seem to pick up my shuttles. Later this evening I was finally able to. 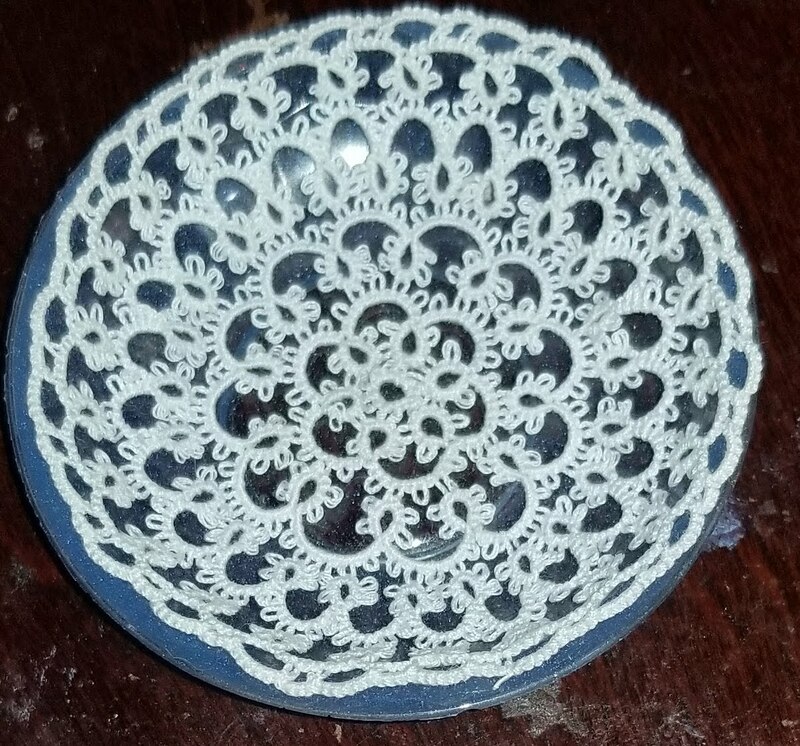 This pattern is by Robbin Perfetti from Tatting by the bay. I don't know what it is about the pattern but I just started and my shuttles kept dancing. I took a break after doing that first turn and moved onto something else. 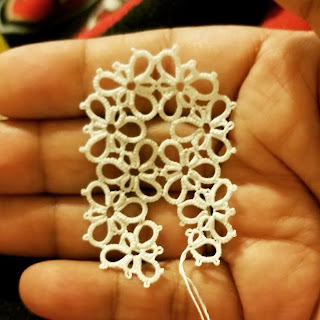 I must tat tighter than the normal masses, because my little squares for the Brussels Movement are turning out smaller than expected. With the deadline extended until the end if the month, I hope to finish a dozen of them to send. They tat up really fast, so it's just a matter of staying focused. Here we have the current progress on the El Dorado. The instructions are confusing as far as to where to join so I'm going based off the photo. I've also omitted what may or may not be a ring in the corner. It's difficult to make out in the photo. I seem to be running into an issue on where to join. I've cut off the strips so much that the joining picots are starting to show serious wear on them. 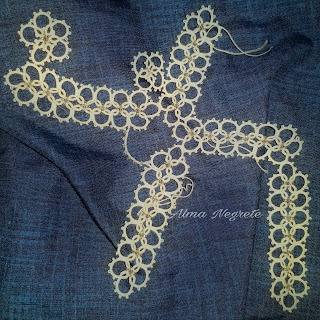 I think I will work on the motifs that make up each arm section first then go back to the center of the piece. I ordered this set of 6 on Ebay and they took about 5 weeks to get here. When I first opened the package, I thought I got scammed. I couldn't make out the shuttles against the background packaging! Taking the photos with the flash on shows them up better. 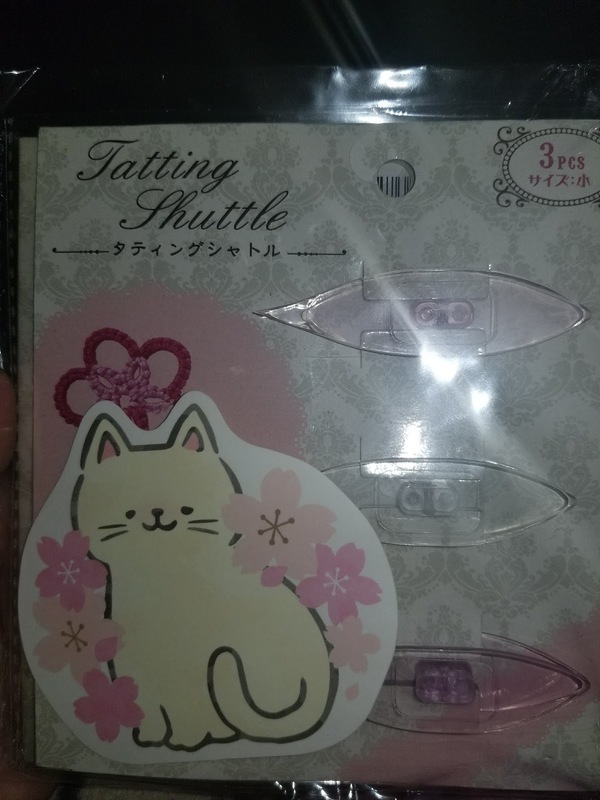 I love that little kitty sticker. They feel exactly as my SewMates just with a very light tint to them. I like them, and I'm keeping one set for my collection. I should have done the same with the other Daiso shuttles, so I ordered another set to keep in the original packaging. I've moved into that type of tatter, one who has shuttles for just their aesthetic properties. Well, I suppose I should get a shadowbox ready and add the 3D printer shuttle into that case. 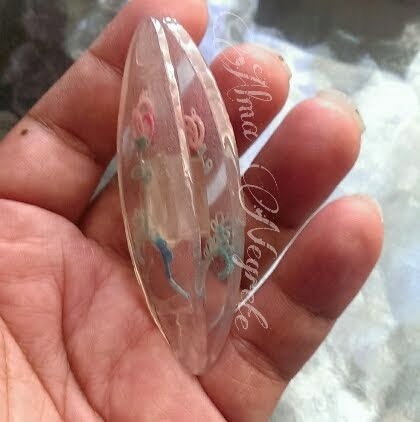 After casting some cabochons I wanted to try and get this rectangle shape into an Ice Drop. 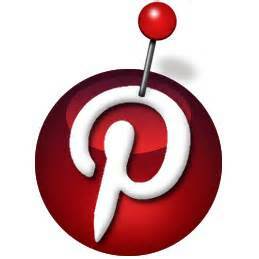 The pattern is on the Facebook Group's files section. 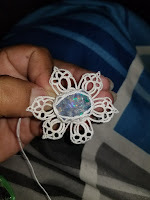 This pattern is by Nicola Bowersox, The Posy Ice Drop. 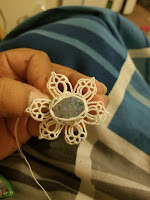 To keep that cabochon in, I had to add rings and a final chaining around the top edge. I think I'm going to be doing these for a bit. 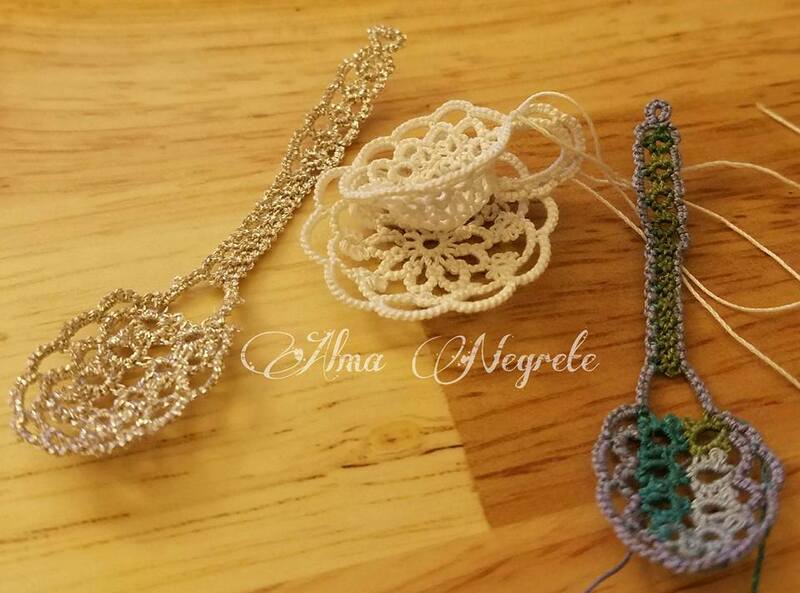 I was working on a Tatting tea set. The plate is by Roger Freeman, and I plan on making his cup and spoon as well. I made this set last year, and realized the plate was different. I like the look of it better. I can't recall who the designer is, but I have it in my files, so I just need to do some research. 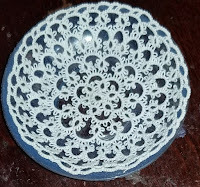 Tatting this in size 50 makes it the perfect size for that plate resin mold I have. I do have to wait to go pick up more gloves to work with the resin. For now, I'm making a bit of small items I can embed into the molds I have. I did receive the UV resin I ordered today, however, this is for my daughter to use for her creativity. Plus, it would take a crazy amount of that UV resin to make this plate. Not to mention that it is so thick that getting bubbles out would be a nightmare. 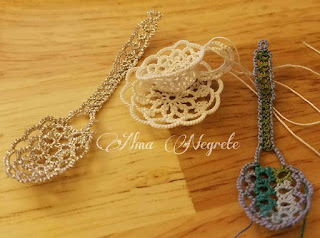 Glad you have your tatting mojo back! My goodness! 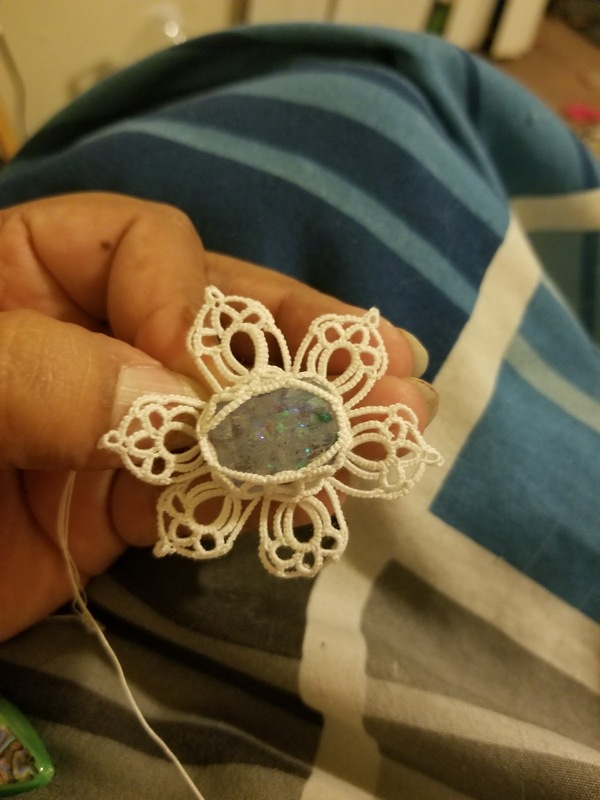 When you get back to tatting, you really get back to tatting! Everything looks wonderful!